The idea is taking an existing Word document, making it a template, and using it with external data to create a new Word document. If you're dealing with 'doc' file (word2003 and before), you can use Pywin32. There are good information in the Chapter 10 of "Python Programming on Win32" book, in a section called "Automating Word". But 'doc' file is on the way out. Staring from version 2007, Word is using the new 'docx' format. The good news is that 'docx' use OOXML (Office Open XML), an open industry standard. This means we can, in theory anyway, create Word DOCX file without using Windows. In practice, there's currently no good library that facilitate creating a docx file from xml data from scratch. It's tedious to do so without a good library. Hopefully someone will create one soon. A short-cut exists though, i.e. create a template docx, create XSLT from it, then use XSLT to transform xml data into a new docx file. Here's a post that describes this process using CSharp. My code is based on ideas and codes in this post. 2, Create xslt file from docx file. A docx file is a zip file. You can get "word/document.xml" file by unzip the docx file. But the resulting file has no line breaks. It's very hard to edit it using regular text editor like VIM. (you can use xml editor, but there ain't good one that's free). I have a python program that does this (getxslt.py). All it does is getting 'word/document.xml', prettifying it(adding linebreaks), and adding XSLT header and footer. We need to use the docx file later, but without 'word/document.xml' file (python's zipfile module can't do file replacement in zip). You can achieve this by "open archive" the docx file with '7-zip' on windows, then delete 'word/document.xml'. You need to study a little bit xslt to do this, it's not too hard. 4, Do XSLT transform to convert xml data to 'word/document.xml' and add it to new docx file. 'mycds.docx' is our final product. One of my servers died. The only thing I have left is a hard-drive from that server. 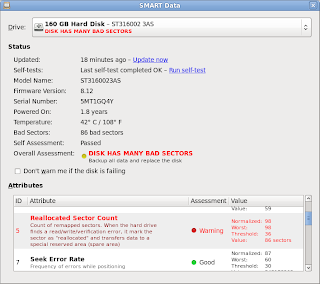 But I have important data I need to recover from this disk. 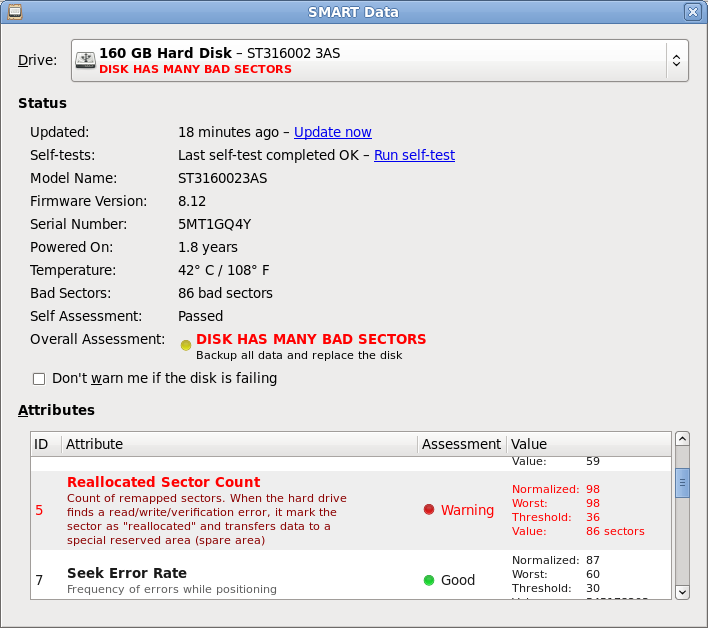 The disk was part of RAID1 (software-raid) disks. It's not boot-able, and only contains LVM volumes. 1, Connect the hard-drive to my PC. I used a USB docking station. 2, My OS (Fedora) assigned it to /dev/sdd. It can not mount it since it's raid. "-f" switch is needed to force creating raid1 with only 1 disk. from my experience, this drive will die soon anyway.